Laos – known as the jewel of Southeast Asia, the country has remained relatively untouched from modern globalisation, making it a great destination to visit. The true beauty of Laos lies in its people, the centuries old traditions, and its lush and pristine landscapes. The UNESCO World Heritage Site of Luang Prabang was recently ranked as one of the most desirable travel destinations. This tranquil town along the Mekong River is dotted with glittering temples and traditional residences that are infused with French colonial architecture. Each morning at sunrise, magical Luang Prabang bears witness to hundreds of saffron-robed monks gliding through the streets, participating in the almsgiving ceremony, an old Buddhist ritual steeped in tradition and one of the region’s most iconic images. For many visitors Luang Prabang is Laos, but more intrepid travellers will discover a country within the towns, untainted by mass tourism. Be it plane, train, bus, or bike, there are many ways to get to Laos. Helpful information to get you through immigration. Helpful health & safety tips for a pleasant holiday in Laos. Laos's weather varies from region to region and between seasons. Helpful maps to get you through Luang Prabang and Nong Khiaw. In Laos, eating food is the most important activity of the day. Discover all corners of Laos with our bucket list. 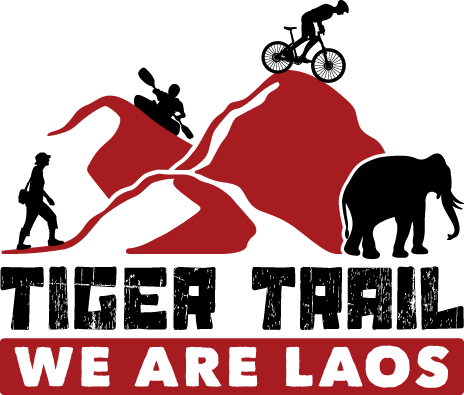 Read up on all our independent travel blog and insider stories about Laos. Speaking a few words of Lao can open many doors while traveling. The best way to explore the mighty Mekong is by boat. Helpful tips traveling with kids in Laos. Tranquil resorts and lodges outside Luang Prabang.